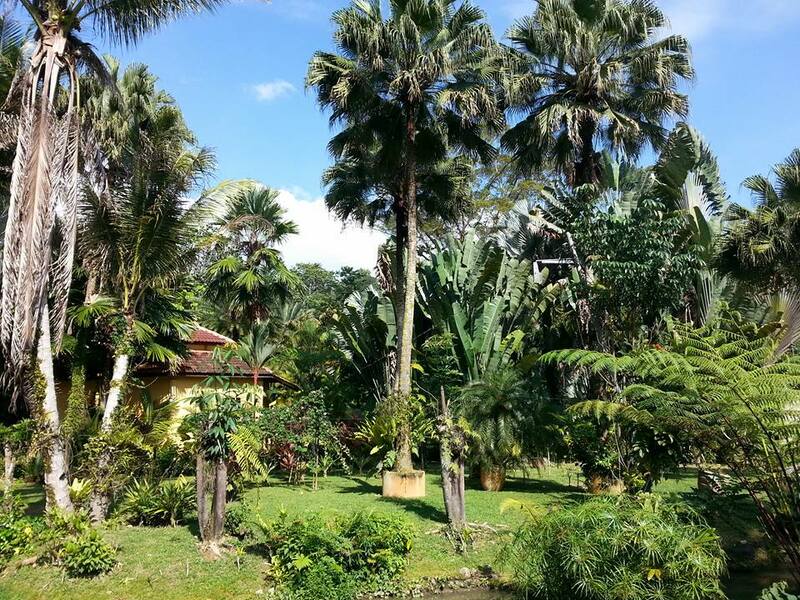 Welcome to Seri Pengantin Resort where tranquility abound. Whilst we take every effort to make your stay as comfortable as possible, we seek your kind attention to the following house rules towards the same. We have made a few simple rules for guest’s safety and enjoyment of our resort and its facilities, to conserve and protect our environment. Please observe our rules and regulations at all times and help us keep this place clean and safe for the enjoyment of all your fellow guests. Seri Pengantin Resort is a small boutique resort, located in a remote village up on the mountains of Janda Baik in Pahang, Malaysia. Being a small resort, the accommodations & facilities provided at Seri Pengantin Resort are limited, however sufficient for a comfortable & relaxing stay. Kindly read through carefully and be clear about our services and limitations as our resort concept may not be suitable for everyone. Resort's main entrance gate will be closed temporary for Housekeeping & General Cleaning from 12.30pm till 3.00pm. For new arrival, kindly arrive after 3.00pm for check-in. For safety reasons, our main entrance gate at the resort will be close at 11:00 PM and opens at 7:00 AM. If you wish to check-out before 7:00 AM or check-in late after 11:00 PM, please advise the resort in advance. In the event of any request for guaranteed early check-in before 12 noon, a 50% surcharge will be applicable, while a full –day surcharge will be applicable for guaranteed check-in before 9am. Late check-out will be on a request basis and subject to availability. Please note that late check-ins after midnights are subject to a surcharge of RM50 Nett. Our reception office opens from 8AM until 9PM on weekdays and from 8AM until 11PM during weekends, public & school holidays. At such, the surcharge is for our staff to standby for your arrival and to assist for your check-in at late hours. Please note that the property does not have any credit card facility. All transactions and payments are by cash only. Guests are required to show photo identification upon check in. Please note that all Special Requests are subject to availability and additional charges may apply. A security deposit of MYR 100 per room is required upon arrival for incidentals. This deposit is fully refundable upon check-out and subject to a damage inspection of the accommodation. There is no camping, chalet, homestay, bungalow, house or apartment. All our accommodations are hotel room concept, located in rows of single storey buildings circulating throughout the resort’s lakes & ponds. Selected rooms come with private balcony & strategically positioned as such that they face the lake, pool or the tropical garden. Please note that children under the age of 12 may be accompanied in the Deluxe Lake View Room, Cempaka Sari or Garden Villa, which can accommodate up to 2 Adults & 2 Children or 4 Adults and 4 Adults & 4 Children or 8 Adults in the Lavender room. 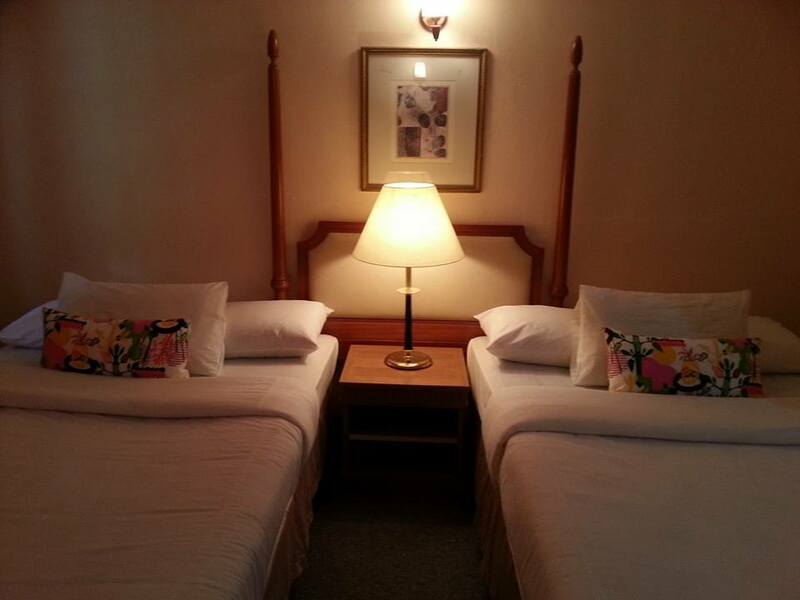 While Standard rooms are limited to 2 Adults & 1 Children below 7 years old. Kindly adhere to occupancy limit stated in the booking voucher. Maximum pax numbers are for everyone’s comfort and non-negotiable. Under no circumstances are guests allowed to bring in and/or consume alcohol, pork, or other non-halal items within Seri Pengantin Resort premises. This means that if you intend to have a birthday bash or celebration here, it will have to be alcohol and pork-free. Any guests breaking this rule will be charged a penalty, minimum of RM1000 Nett & will be blacklisted from coming again. We do not have any restaurant or café operating within Seri Pengantin Resort at the moment; however, you can order from our FOOD DELIVERY TO ROOM SERVICE (Available for Lunch & Dinner Only) at the reception office. There are also several eating options for our guests within a short drive away. Please refer to attached map at the end of this booklet. 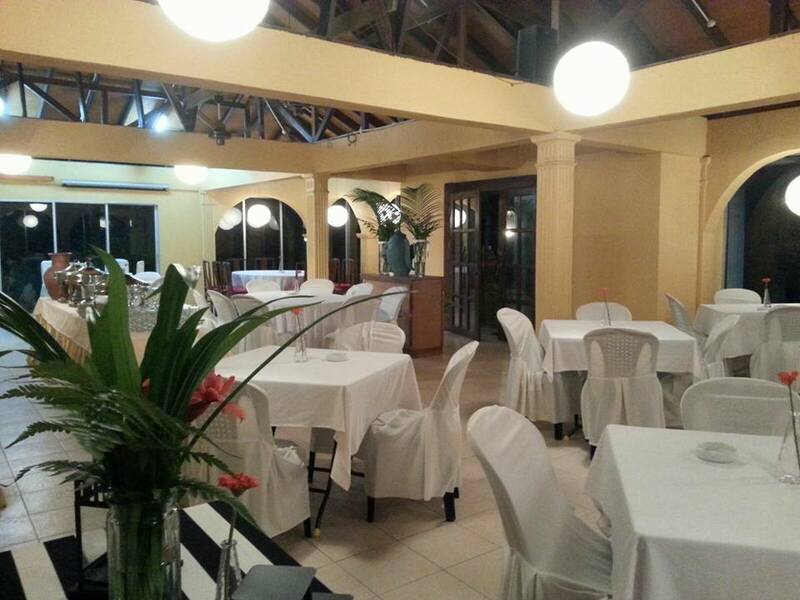 If you are coming in a group of 20 persons and above, a private dining hall is available & able to cater for your needs. Advance reservation is required. Seri Pengantin Resort is now a smoke-free resort. Smoking is permitted only at areas designated for smoking (outdoor car park area). Please dispose of all cigarette stubs in the proper receptacles. Please observe a reasonable sound level limit at all times, should there be any music or activities. Quiet hours are from 11:00 pm until 8:00 am. We do not provide phone access in the room or anywhere in the resort because our location is too far from the main infrastructure to provide reliable up-time as informed by Telekom Malaysia. Also possible is poor or no phone network coverage depending on your service provider since we are high up in the mountains. Our swimming pool water is made up of fresh water sourced from a nearby hill. The water supply is constantly running in and out, thus most of the time providing clean & clear water. Same goes to our river, depending on the weather, if it rains during your stay, the water source might or will become a little bit greenish & murky. If this happens, we will close the pool & the river for further use and let the water runs until it is clean & clear again. We apologize for the inconvenience cause & regret that we are unable to do anything to go against the nature. Please use caution while in the pool & river area. There is no lifeguard on duty. While resort personnel may be present in the pool area, they DO NOT HAVE LIFEGUARD TRAINING. Please supervise your children in the pool area. Children under 16 may not swim without an adult present. Do not enter into or swim in the Fish Ponds. The Fish Ponds are DEEP and NOT FOR SWIMMING. Fishing or catching of fish in any manner is not allowed. Do not throw anything into the Fish Ponds. Heavy cooking is strictly not allowed in the property's compound. You may bring your own home prepared cooked food and enjoy them anytime in the comfort of your own room at the Resort or at the riverside picnic area during day time. We appreciate for you to keep clean of all areas and to make use the bins provided to dispose any garbage. If there is a need to have a gathering, a covered space or a hall can be rented with a minimum spending fee. 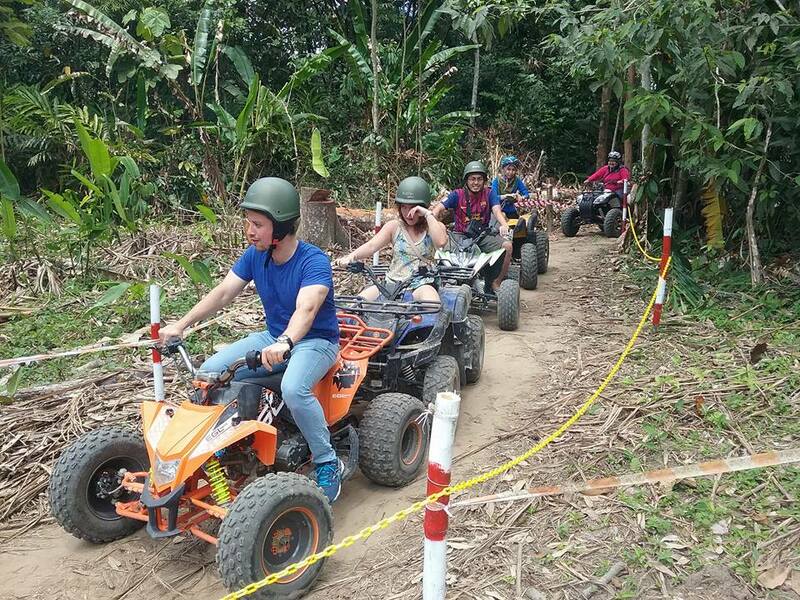 The minimum spending fee can be applied for the catering of Group Meal Buffets or Team Building outdoor activities with a minimum of 20 persons & above. Kindly contact our sales team for booking. For the comfort of other guests, no food is allowed at the Pool Deck Area. For those who prefer a more laid back dinner, our BBQ Alfresco is available with a minimal fee, on a first come first serve basis. Located at The Riverside area, prior reservation is strongly recommended. As the resort observes a strict halal policy, non-halal meats or related products are not permitted. We can arrange BBQ packages to cater to your needs but please let us know in advance. No one in the village is legally allowed to barricade the river as part of their property. As such, because the river is right next to us, it becomes an open pathway for the villagers (especially the village children) as the river is open to all. That being said, this is a security matter that we cannot avoid, and it is dependent on the guests’ initiatives to safeguard their belongings. This means locking the doors when you leave out to go for a drive, or to not leave your laptop unattended out in the open. Basic safety precaution can mean the difference, and once something is stolen, it will be impossible to get it back basically. There is also a native aboriginal village nearby and they are also known to cross through the various lands and premises. Just like the wild animals, do not provoke or act untowardly to them, and they will leave you alone. However, as we cannot vouch for every single native, we advise that you always safeguard your valuables if there is anyone suspicious or unknown to you that loiter around the area. Heavy rain does occur on occasion, resulting in rapidly rising water levels in the river. In cases of extreme rain or when the river turns a muddy color, do not swim as it is extremely dangerous due to the fast and potentially fatal undercurrents. In addition, heavy rain also affects the ASTRO satellite dish, so you may not be able to watch any ASTRO channels when there is heavy rain. Wild animals such as dogs, cats, and sometimes even iguanas or big jungle lizards cross through the premise. Again, this is normal as it is a village! However, the animals will not attack unless provoked, so if you come across any stray animals, do not attempt to pet or approach it suddenly, and instead calmly try to create distance between you and the animals. They will normally walk away as they do not attack humans under normal conditions. Cobwebs (not a bug), dead bugs, mosquitoes and other bugs in general are a normal everyday occurrence in the village! If you can’t stand them, please bring insect repellent and bug spray (especially during rainy / monsoon seasons such as during end of the year). We trust that the above is clear. In the meantime, if there is anything we can do to make your arrival easier or your visit more comfortable, please let us know. Please be advised that any special request is subject to daily availability and we will try our best to accommodate your request. If there is any question or concerns pertaining to the above, please feel free to contact us. Looking forward to welcome your stay with us soon!